As the region’s largest not-for-profit community hospital, we exist to heal and comfort patients, to promote and foster a healthier community, and to assure access to healthcare to all who need it - regardless of their ability to pay. With a wide array of medical specialties, our skilled nurses and providers are trained to treat virtually any type of injury or illness, providing high-quality, easily accessible healthcare close to home. We are committed to serving this community with the best resources available – both through technology and through people. 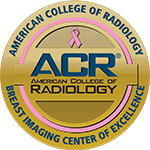 Our Comprehensive Cancer Center was the first in the area to achieve accreditation from the American College of Surgeons as a comprehensive community hospital cancer program – making us one of just over 1,500 cancer programs to receive this honor in the United States. 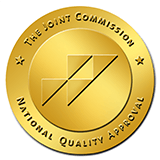 This translates into an outstanding continuum of care that includes leading edge diagnosis and treatments, talented staff, and the best medical equipment and support available. From sports-related injuries to bones and joints in need of repair, our Center for Orthopedics leads the way to recovery. The Center is known for both its surgical expertise and rehabilitation capabilities, as well its high quality total hip and knee replacement programs. Our Center for Women & Children encompasses comprehensive, family-centered obstetrics and gynecological care for women at every stage in life from prenatal care and childbirth to menopause, and pediatrics for children up to age 18. Our staff is dedicated to providing the highest level of evidence-based healthcare with skill and compassion. Utilizing the same surgical suites as those for our inpatient procedures, our Day Surgery Center offers the convenience of outpatient surgery with the assurance that comes with being in a fully-staffed hospital environment. When a patient arrives with stroke symptoms, our Primary Stroke Team is well-trained and prepared to provide patients with immediate access to the latest treatments in order to save lives and reduce likelihood of long-term disability caused by strokes. Available 24 hours, 7 days a week. 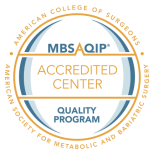 Our Surgical Weight Management Program offers medical assistance including bariatric surgery and support to provide treatment options aimed at improving health and prolonging life. Our Center for Rehabilitation is a full service, multidisciplinary program offering inpatient and outpatient therapies. The comprehensive center includes a cardiopulmonary rehabilitation program as well as a fitness center with aquatics program and outdoor fitness trail. 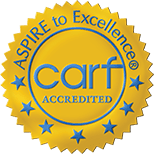 The 10-bed inpatient unit is certified by CARF as a Comprehensive Integrated Rehabilitation program. Consistently achieving Magnet recognition speaks to the leadership of the hospital and the importance of a nursing team that exceeds the expectations of those who trust us with their lives. 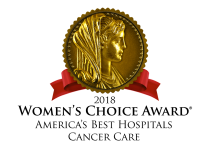 Recognizing quality patient care and nursing excellence, the Magnet Recognition Program provides consumers with the ultimate benchmark to measure the quality of care they can expect to receive. Community Hospital built for the community, by the community.